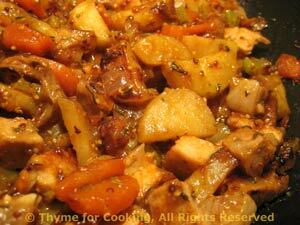 Savory Pork Hash, from Thyme for Cooking's seasonal menus. Leftovers from roasts have long been turned into hash. This is an updated, chunky version. Mix mustard with sauce or stock, etc.